… Meet Jose, son of a farmer. 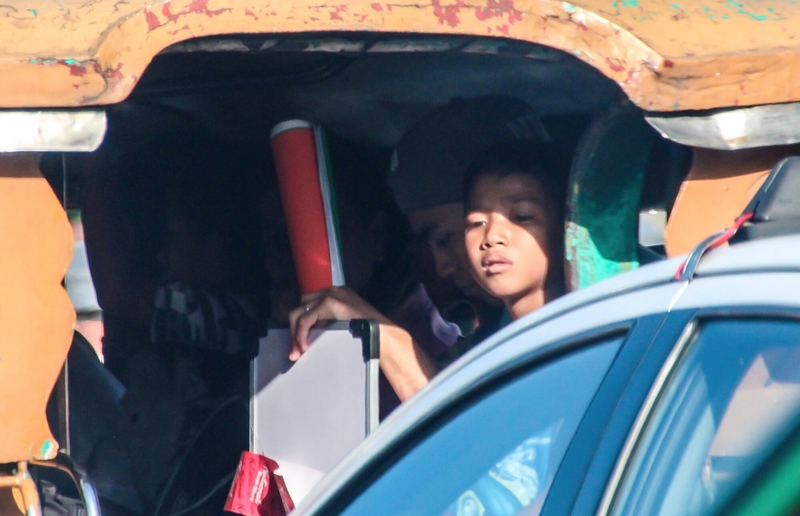 His father earns an average of Php3,000 or about US$80 a month! … Meet Jose, who has experienced not eating a good and decent meal almost two to three times a week while other boys of his age are just throwing away food which they don’t like to eat! … Meet Jose, who sits in a classroom under the tree due to lack of public schools while those in power are sitting comfortably in a room with all expenses paid by Jose’s father as a taxpayer. Life is fair… According to the rules and standards of our society which needs people like Jose who will eventually end up accepting jobs we don’t want. They are the future janitors, garbage collectors, and other dirty job workers where poverty is a necessity for the rich to live in comfort. Wordless Wednesday… The Face of Nil! One day think about your take on mobile device apps that NEEDLESSLY must use NOSEY, privacy invading “permissions” in order to be installed. I simply won’t use those. Granted, all of them probably spy on us, permissions or no permissions. Some great apps, depending on what one is interested in, have absolutely NO permissions required. Others have some understandable to be able to not stop after a number of seconds or be installed on the SD card, but others want to, basically, know EVERYTHING going on with your mobile device. About the only permission they don’t ask for, seeing as the want to invade your life, is what brand of toilet paper the person wipes with. Some apps needed for mobile device uses on important websites take ADVANTAGE of knowing a person must install their app to continue using that important or legit website, like for a business, or one that can assist a person running their business. Some of those apps even want to send their own text messages to YOUR contacts, or even state read your texts, and record you talking….randomly photograph whatever it can see through your camera and some mobile devices have additional cameras on both side of a device but interesting enough, not stated in its often useless little manual or description. Many have been proven to steal your passwords and banking transaction info. Clearly, a group of flagrant wankers are at the helm. I wasn’t aware we could install an app while declining permissions. So, I just don’t install the app. However, if there is a way to install an app while declining various permissions, I have yet to figure that out….cheers! Wasn’t it Ghandhi who said something along the lines of, “Show me a city FILLEd with poverty and it will reveal how profoundly CORRUPT the leader or people in charge of running that city are.”….. As if that even needed pointing out. I think corruption is something mankind has to endure… Aaargh! we hold the idea to make the world a better place and we are working on that idea.